Broadening Your Donor Base to Reflect the Diversity of Your City or Region? Home / How Would You Go About Broadening Your Donor Base to Reflect the Diversity of Your City or Region? Shamina Senaratne is Manager of Development for the Surrey Food Bank which provides food to 14,000 individuals a month in Metro Vancouver, BC. One of the gifts of the AFP Fellowship in Diversity and Inclusion was to attend the AFP Congress in Toronto – the largest AFP conference in the world. And what a delight to find myself talking about the Fellowship to an AFP Toronto fundraiser I had never met, who then introduced me to her friend and AFP member, Tricia Johnson, Major Gifts and Planned Giving Officer for the Ottawa Food Bank. Wonderful! Some kind of AFP magic at work? Coming from the second largest food bank in BC myself, we immediately began a conversation about how we are engaging diverse donor populations and agreed to keep our conversation going post-conference, both of us inspired that somehow, among 1000 attendees, we found each other. Now March, a few months later, we checked in with each other and I asked Tricia about the plans she has for diversifying her donor base. Who would you like to have participate more fully as donors? I ask her, What are some considerations as you seek to engage with the diverse Muslim community to build on what may be aligned values or intersecting interests? How do they get to know us and how do we get to know them? What are some approaches you are taking? “There is a Muslim food bank in our community that doesn’t serve only Muslims but offers a wide variety of halal items and is run by Muslim elders in the community. I reached out to that food bank and let them know that we are looking for people we can work with in the community who can act as Philanthropic Advisors. These are people who are onside with us, who want to see us increase our reach in the community and they can help us with introductions. And sometimes through observation, they will help me navigate things to be aware of when interacting with people with cultural norms different than I might have. I ask Tricia to tell me more about her Philanthropic Advisors Group and how she hopes to engage with this group. “We created a group called Philanthropic Advisors Group because it sounds way better than ‘Major Gift Committee.’ No one wants to be part of a Major Gift Committee or, when I’ve had those before, they haven’t been that effective. So seeing them as ‘philanthropic advisors’ it kind of puts the onus on me to make sure that they are equipped with knowing what we do, why we do it, some of the projects we are fundraising for —focusing on that education as opposed to just the door opening aspect of what they can do. I really want them to think about who would be predisposed to supporting our cause, not just find who has deep pockets. Reaching out to a food bank and a faith based organization who serve the populations we want to reach and involving/equipping them as philanthropic advisors. Reaching out to mosques and being present when they present gifts of cash and food to us. Subscribing to newsletters from The National Council of Canadian Muslims. (NCCM) is an independent, non-partisan and non-profit organization that protects Canadian human rights and civil liberties, challenges discrimination and Islamophobia, builds mutual understanding, and advocates for the public concerns of Canadian Muslims. 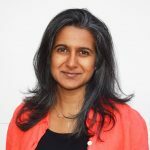 Paying attention to connectors in our community—especially if they are part of a visible minority. Paying attention to donors in community who are women and have non-French or English names. What are some of Tricia’s challenges and observations about making a conscious effort to broaden the diversity of her donors? Relationships do need to evolve and you can’t force or rush it. So sensitivity, openness, authenticity and a genuine interest in the people we wish to invite to join us in a common goal is surely the way. My sincere thanks to Tricia Johnson for sharing her observations and experiences as she takes a thoughtful approach to broadening the diversity of the donors who support her cause.